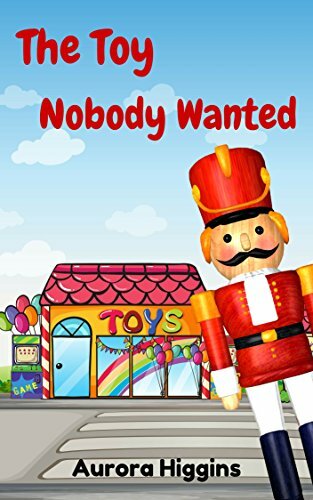 Eddie the wooden soldier doll lives in Mr. Appleby’s Toy Store and has only one wish—he wants to be bought and taken home and played with by a little boy or girl who will love him and enjoy him. But none of the kids who come toy-shopping seem to be the least little bit interested in Eddie. After all, what is a boring, old-fashioned soldier doll compared to all the latest video games and toys that can walk, talk, and do things by themselves? Poor Eddie resigns himself to the possibility that he may have to sit on one of Mr. Appleby’s toy store shelves forever. He watches sadly as, day after day, the shiny, new-fangled toys around him get bought. Then one terrible afternoon, Eddie learns that Mr. Appleby doesn’t have the money to keep his toy store open any longer. He is going to shut down his business. All the toys go on a special sale before the store closes, but even then, nobody buys Eddie. Will the soldier doll find a home before the toy store shuts down?